The Game of Thrones cast is going to take centre stage on Entertainment Weekly covers(posters). These collectable Game Of Thrones Season 8 posters the last season of Game of Thrones. Fans have been waiting for the upcoming finale for years. Showrunners David Benito and DB Weiss discussed what the audience can expect when it arrives. “When something has been sitting with you for so long, you have such a specific sense of the way each moment should play and feel,” Weiss says. “Not just in terms of ‘this shot or that shot,’ though sometimes it’s that as well. So it’s not really fair to ask somebody else to get that right. We’d be lurking over their shoulder every take driving them crazy making it hard for them to do their job. If we’re going to drive anybody crazy it might as well be ourselves. 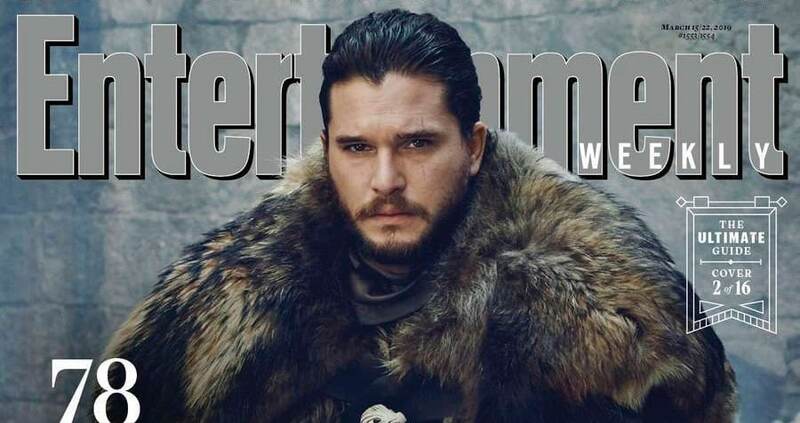 Here are all the Entertainment Weekly Covers of Game Of Thrones cast. The Game of Thrones Season 8 will debut on HBO on 14th April.